Ever bought something from iTunes and it instantly began downloading but perhaps did want it to start straight away? Well Apple have added an option to iTunes that allows Movies and TV Shows to be downloaded later. 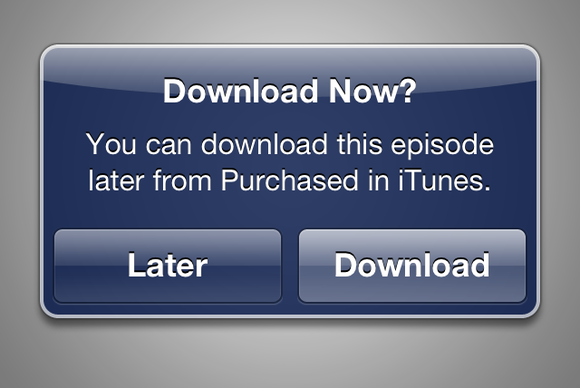 Now when a purchase is made in iTunes 11, or a device running iOS 6.x, you are asked if would like to download the item now or are offered to download it later. Selecting ‘Later’ stores the purchase in the cloud, allowing you to revisit the purchase on any of your authorised devices to begin the download by simply visiting the Purchased tab in iTunes. Tapping the later button will simply complete the purchase and send you back to iTunes. Tapping the Later button will not download any songs or videos. 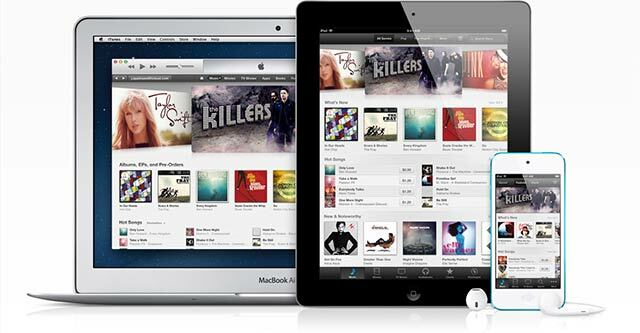 You’ll be able to download your purchase at any time from iTunes in the Cloud. Tapping the Download button will download all available songs from the box set or individual movie or TV episode. Because this feature takes advantage of iTunes in the cloud, the ‘Later’ option in iTunes is only currently available where iTunes in the cloud is supported. I have been in countless positions where I have missed out on buying something because I wasn’t in a position to download it then and there, and then forgot about it when I got home. While the addition of a ‘Later’ button in iTunes won’t charge the world, it is certainly a small improvement that makes all the difference me. What about you? Let us know in the comments section below if the addition of a ‘Later’ button in iTunes is something you’ve been waiting for, or the lack of having one hasn’t really bothered you so far.